I have never been happy with my hair, it's been very short, red, every shade of brunette under the sun, dip-dyed, highlighted, mid-length and more recently, very long! For the past six or so years, I've grown out my hair to my waist and then I've had at least seven inches cut off to donate to The Little Princess Trust. 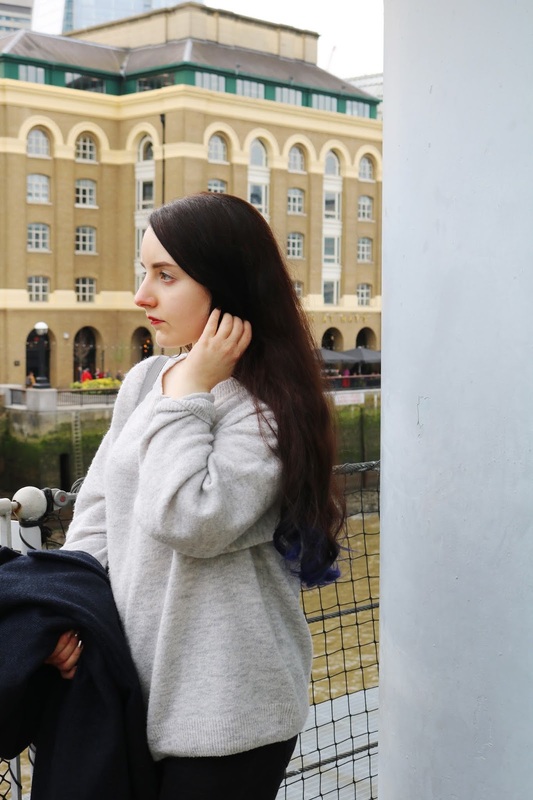 As I'm going to cut around ten inches off my hair next month, I thought I'd write about some of my experiences of having very long hair, tips and product recommendations. Back in secondary school I washed my hair almost every single day and I straightened it almost every day as well and to be honest, I don't know how I still have any hair left after that! For at least the past six years I've rarely used heat on my hair, I wash my hair around three times per week and I always wash it in the evening so it can dry naturally overnight. I use my hair dryer, curler or straighteners four to six times per month, depending on what I'm doing that month - next month will be a busy month so my hair will be subjected to heat much more (a weekend away, my birthday and a cruise) but normally heat is very rarely used on my hair. When I do use heat, I use my amazing GHD Earth Gold Styler as it makes straightening my hair very quick so the time my hair is connected to the heat is vastly reduced. Masks and hair oils are something I try to use once a week to keep my hair as smooth, healthy and tangle free as possible, the latter is very important because very long can can become extremely tangled (mine literally resembles a birds nest sometimes). I love Morrocan Oil Light, any of the Redken hair masks and the Salon Science range. Speaking of tangles, one way in which I prevent tangles is to brush my hair when it's wet with my Wet Brush which is a fantastic brush for those with long or very long hair. I've had mine for years and it's still going strong! Since I was a child, I've had a sensitive scalp so brushing out stubborn tangles can be quite painful but The Wet Brush makes it very easy and as pain free as it can be; Tangle Teezer brushes are great too. Your hair is the most prone to damage and breakage when it's wet so it is important to use a detangling brush! As I've mentioned, I try to only wash my hair three times per week as you lose even more hair when you wash it. One of my hair problems has been hair loss, it's something I've struggled with and been self conscious of since I was a teenager until I tried the Regrowz treatment which has helped immeasurably! Very long hair does have a tendency to fall out much more because of the weight of it but hair loss can also be due to genes or stress however there are solutions, thankfully as I have experienced hair loss and it isn't a pleasant process by any means. Harley Street Hair Clinic offers treatments to help; hair transplants Harley Street use the most modern FUE hair transplant techniques which are available for both men and women. There are various treatment options and you can see some of the amazing results and case studies on the Harley Street Hair Clinic website. Do you have any long hair tips or product recommendations? Do you also experience hair loss? I've got long hair too and I've really been loving the Evolve Miracle Hair Elixir. I'm trying to grow my hair even longer and I almost always air dry and wash every 3 days. I love using masks and oils on my hair! I've had every hair length and style under the sun too. My hair is really long but I haven't dyed it in years and it's in not too bad condition at the moment. I am so envious of your gorgeous long locks! Minimal washing and brushing is definitely what I use. And no heat styling! I rarely use heat on my hair and that definitely helps a lot! Oils and masks are my favourite, I use an oil each time I wash. Makes such a difference. Totally agree with all these points! Unfortunately, I have found a good detangling brush for my hair yet. you definitely need a good detangler with long hair. I think I need to start using hair oils to help with dryness.. Your hair is so gorgeous though!